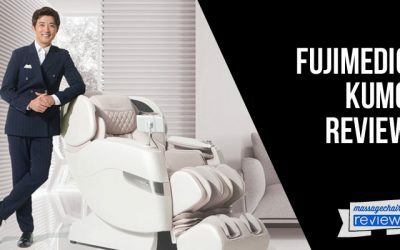 The Infinity IT-8500 is allows you to get multiple levels of therapy through a variety of relaxation and enhanced massage techniques. You can use Zero Gravity to go into a natural state of relaxation or use Inversion therapy to help naturally stretch tight muscles throughout your body. 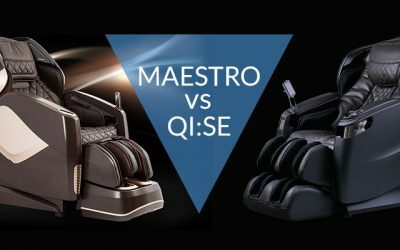 If you want a great lower leg and foot massage, get excited about the 2 roller foot roller under the soles off the feat which is unique only to select models of the Infinity Massage Chair line. 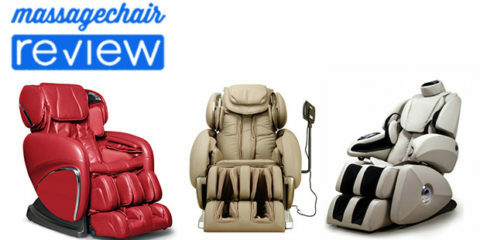 The Infinity IT-8100 massage chair has many of the features and benefits of units costing twice as much. 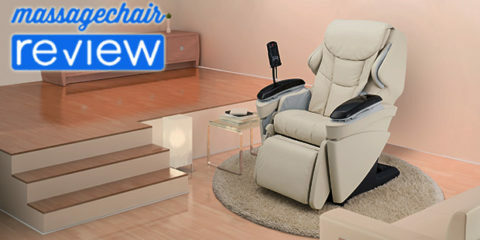 They designed it to include the most desirable massage chair functions: Foot Rollers for the soles of your feet, four auto programs, full arm and calf massage, and a 6 adjustable therapeutic massage techniques. The IT-8100 also includes a headphone jack to play back your favorite playlist via an MP3 player. 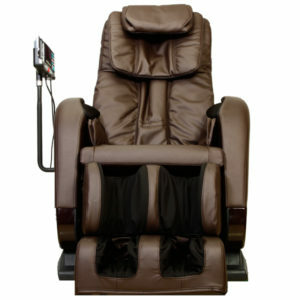 At an amazing price point the IT-8100 now makes the total full body Infinity massage affordable. 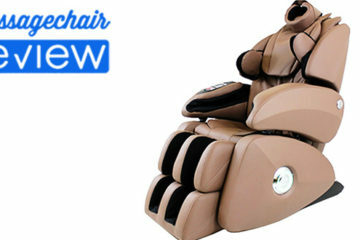 The Infinity IT-8100 massage chair has a 6 roller massage mechanism. This massage roller is quite unique not only among the Infinity massage chairs, but in the massage chair world in general. The Infinity IT-8100 is able to perform new massage styles like “wavelet” which is a synchronized kneading and tapping for increased therapeutic benefit. This roller effectively administers 5 different massage styles including: Kneading, Tapping, Pummel, Wavelet, and Shiatsu. Each massage style is fully adjustable from the easy to use remote. There are 5 levels of speed adjustment and 5 width adjustments to ensure all preferences, and sizes can be accommodated within the chair. When you first sit down in Infinity IT-8100 massage chair, the massage rollers roll up your back to determine how tall you are and where you are on the massage chair so it can customize your massage experience to your unique size and shape. 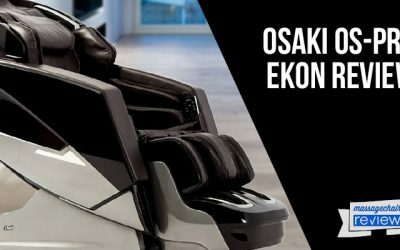 This feature is usually reserved for higher end massage chair, but Infinity has included it in this massage chair at an incredible price. 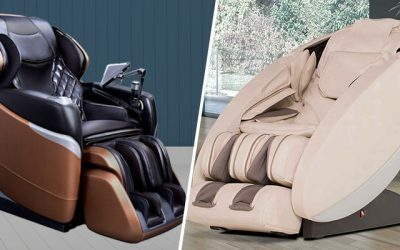 The Infinity IT-8100 Massage chair comes equipped with 6 automatic massage programs that allow you to experience exactly what this massage chair is capable of at the push of a button along. 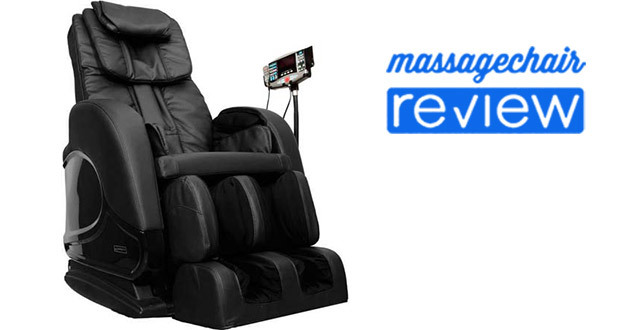 4 full body massage modes which are extend, relax, recovery, and refresh. There are also 2 more programs that focus on the upper back and the lower back. I am always a big fan of foot rollers and the foot massager in the Infinity IT-8100 is a great tool for reflexology. Reflexology utilizes the ancient therapeutic concept that every organ in the body corresponds to a particular point on the sole, and concentrating on the foot can alleviate pain in any part of the body. The therapeutic benefits are a result of stimulation of the nerve endings on the resulting in benefits for the corresponding organ. It focuses on acupoint in the feet that help to relieve built up stress and helps to regenerate the feet. This can also benefit the whole body as the foot roller massages and soothes sore and tired feet, stimulates circulation and makes the entire body feel good. Combine with the airbag compression massage for an even thorough massage that will make you feel great. 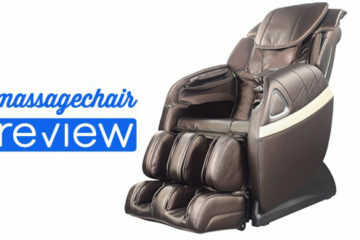 The Infinity IT-8100 Massage chair’s air massage system combines strategic use of 28 airbags placed in the head, neck, arms, buttock, hip, foot and calf areas and work to bring the massage experience to your whole body, as well as work with the back and foot rollers to improve your massage. 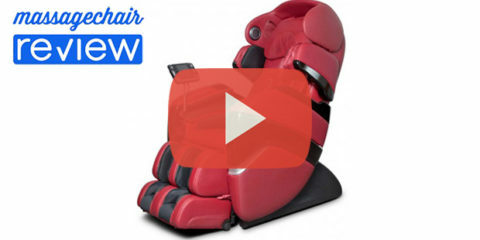 4 airbags are positioned on each side of the armrest to massage the wrists and arms in a soothing wave-like motion to smooth away tension and leave your arms feeling refreshed. Multiple airbags are places in the foot rest to provide a powerful massage on the legs and feet. Each airbag is designed specifically to squeeze, knead, roll and swing massage the sole, arch, heel and ankle to sooth tired, aching feet. 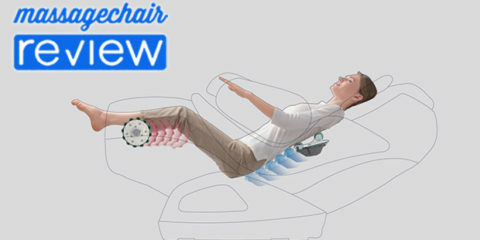 Roller Technology incorporates the grasping and kneading of live massage through finger-like rollers that reach out and the airbags comfortably squeeze to massage shoulders and neck area. Heat Pads: Built into the lumbar of the backrest are heating pads that apply relaxing heat to the large muscle groups surrounding the lumbar area which allows your massage to be even more effective and your relaxation to be even deeper in these areas. 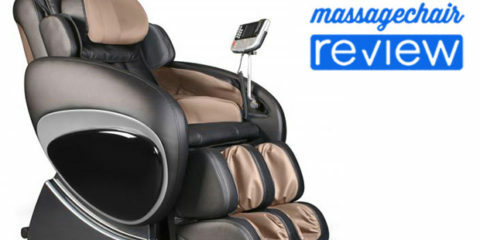 Vibration Massage: Seat Vibration is another noteworthy feature. Vibration massage reverberates up the spine and through the muscles to help loosen up tense and knotted muscles making your massage even more effective. 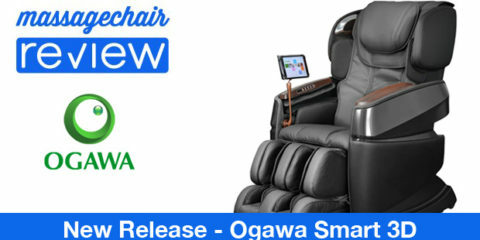 The Infinity IT-8100 price is $3395 and a great massage chair for the price. 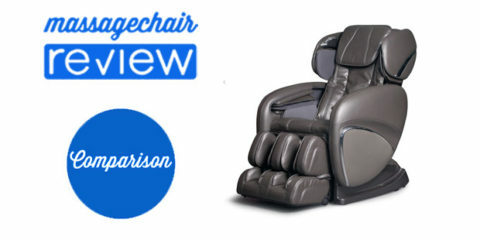 We would definitely recommend this massage chair and customer reviews have been great. 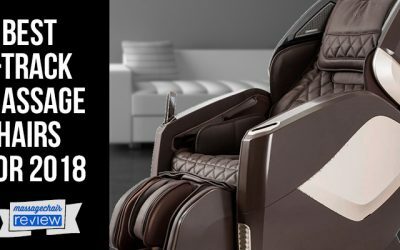 If you want to read more about the Infinity It-8100 massage chair or want to learn more about Infinity Massage Chairs visit our preferred partner at Emassagechair.com.